The U.S. Track & Field and Cross Country Coaches Association released its national ranking today and it has the Pilots men’s team at #8 nationally to begin the season and BYU at #4. The Pilots, who finished 12th nationally last year, open the season on Friday, Sept. 6 in the PSU Viking Classic at Blue Lake Park in Fairview. I believe this year marks Rob Conner's 24th season on The Bluff.....has there ever been a more successful coach in any sport at UP? Gonna be another showdown in the WCC meet. 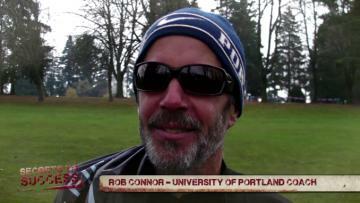 DoubleDipper wrote: I believe this year marks Rob Conner's 24th season on The Bluff.....has there ever been a more successful coach in any sport at UP? Is this a serious question? 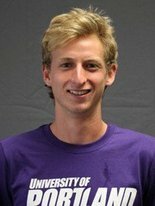 The University of Portland men, coming off a strong performance last weekend at BYU, moved up one spot, from #8 to # 7 in the national rankings this week…..and they held onto their #1 ranking in the West. In their four-mile race Saturday in Provo, the Pilot men finished second to BYU. Junior Woody Kincaid, the first Pilot to cross the finish line, finished third overall in 20:04.4 and redshirt junior Scott Fauble was the fourth-place finisher right behind him in 20:04.5.
pilotram wrote: Gonna be another showdown in the WCC meet. Man....back when I was at UP, it was such a foregone conclusion that the Pilots would smash everyone at conference that Conner wouldn't even send his A team. He'd send the second five runners and still crush everyone. Guess that all changes with BYU in it now. There was a day when someone speculated that the seven slowest guys at UP (walkons included) could get the job done. Times have changed! To be honest, it was somewhat of an advantage that UP enjoyed over other top programs, being able to hold out their best guys when regionals was the next race. LRC poll has us at #6 and BYU at #5. We're first in the West, meanwhile BYU has the unfortunate pleasure of having NAU and CU above them. I'd love to see us win regionals this year, beating Stanfurd, UW, and most of all Oregon! Gonzaga #13 in the west poll. I think their program is improving. Something to keep an eye on. Big meet tomorrow in Springfield….the 8th annual Bill Dellinger Invitational…..for many it’s a BIG race, but for Coach Connors, it’s more of a tryout, it would seem. I spoke with Coach a couple of days ago....and when I asked him if he was planning to send any of his first team, he said he planned to send his ‘JV’ squad while resting his first team for the upcoming Wisconsin Adidas Invitational. Coach Connor, always the sly tactician, seemed to rub his hands together with glee thinking of his JV group upsetting the nationally ranked #4 Ducks, and regionally ranked #7 Washington, and #13 Gonzaga. They're letting 9 runners in at Wisco? I thought just seven? pilotram wrote: They're letting 9 runners in at Wisco? I thought just seven? The “JV X-C team” finished tied for 3rd with UW in at the Bill Dellinger meet in Springfield today…..behind UO and Boise St. and ahead of GU. The top two UP runners were Chris Borg (12) and Cody Wells (15)……so I guess they’ll get to travel with the “Varsity Seven” to the upcoming meet in Wisconsin. The women’s team finished 4th behind UW, UO, and BSU. Ah yes I think they take 10 to the big meets (9 plus coach). Only run 7 though I think. pilotram wrote: Ah yes I think they take 10 to the big meets (9 plus coach). Only run 7 though I think. That is my understanding also.